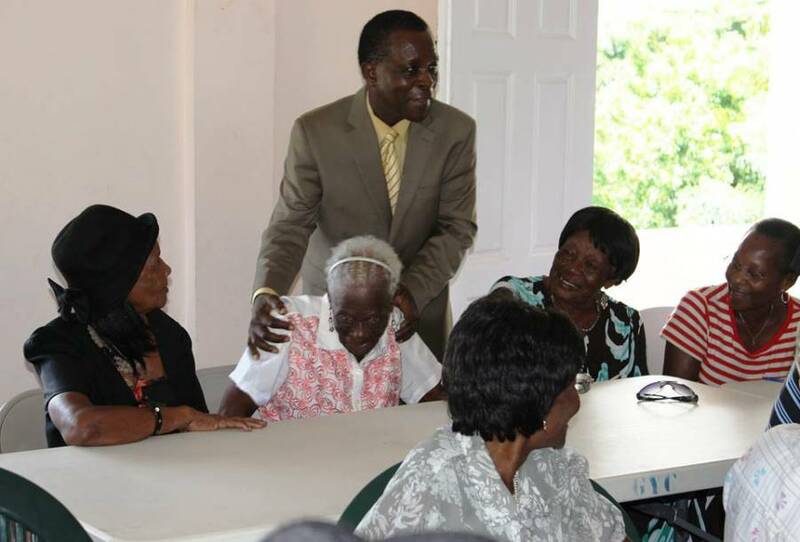 The Prime Minister traveled to the parish of St Andrew, to visit a very special group of citizens, on Wednesday, 14 October 2015. 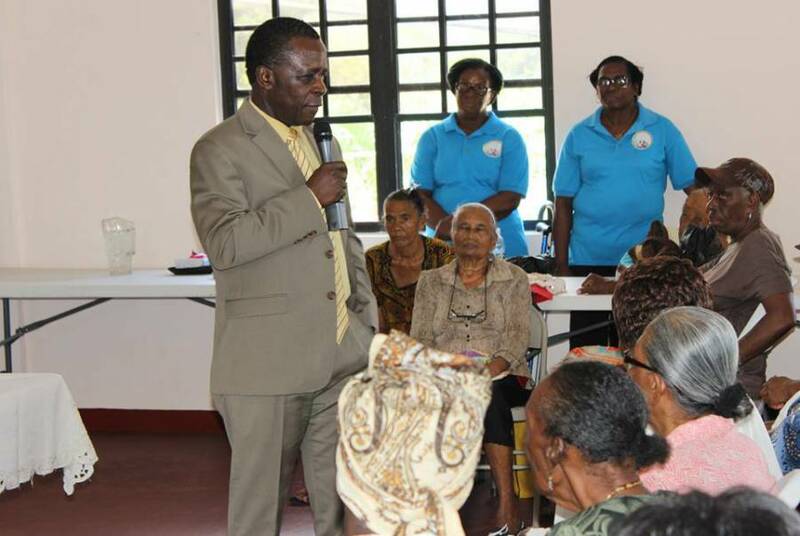 The approximately 35 citizens at Golden Years Centre, which is housed at the Grand Bra Community Centre, were thrilled to greet the Prime Minister and spend some quality time with him, during their weekly recreational day out. They entertained him with poetry, songs and other special presentations. The Prime Minister commended the Parliamentary Representative for the area, Hon. Yolande Bain–Horsford, on her initiative to start the centre. The Prime Minister also made an important commitment, to last his entire term in office, when he said, “Because I am so impressed, I want to make a special sacrifice, to the treasurer of this organization. 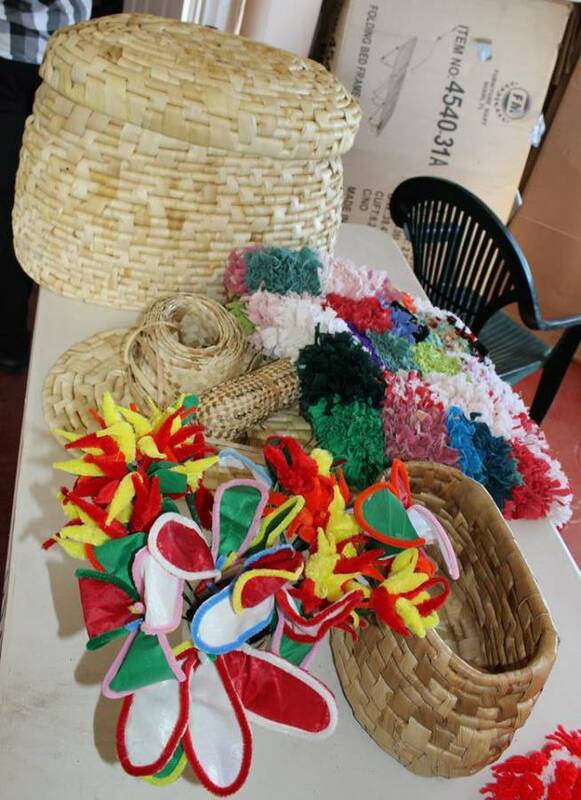 On a monthly basis I will make $500 available.” He also commended the staff, who all volunteers at the centre. The Prime Minister also promised the senior citizens, at the Golden Years Centre, to return with a special guest. “Friday is my mother’s 93rd birthday — the 16 October, she will be 93 — so the next time I come, I’m bringing her,” the Prime Minister said, with a smile. The Prime Minister left the gathering in high spirits, stopping on his way out to greet their oldest senior, who is 98 years old. The administrators at the home thanked the Prime minister for his visit and his pledged contribution, presenting him with a gift, before his departure. The Golden Years Centre has an upcoming exhibition, concert and fashion show, during the month of November.